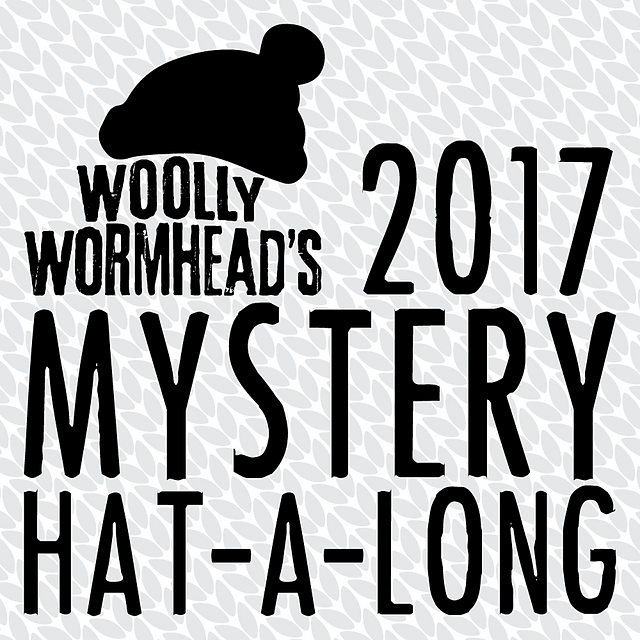 Season 2 of the podcast is now live and I decided to kick off season 2 in style with Woolly Wormhead. This is a 40-minute relaxed chat all about her latest Elemental collection. So grab your coffee, bring out your knitting and find some time for you. In the first episode of season 2, we rejoin Woolly Wormhead a year after the release of Painted Woolly toppers for Kids which was the topic of our first recording. 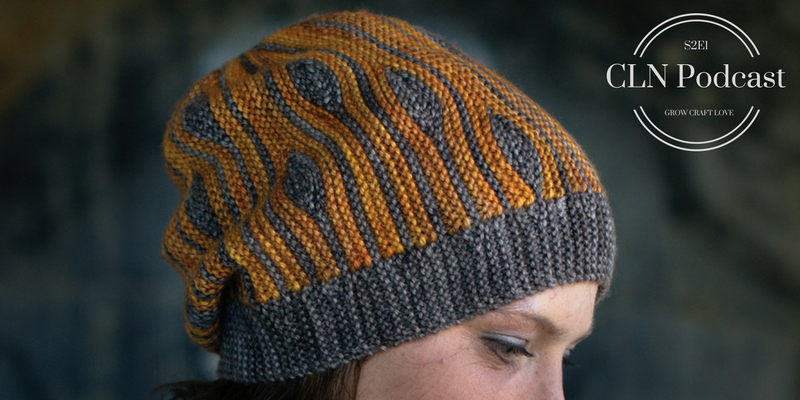 Woolly is back with a fantastic new sideways hat collection using Bloomsbury DK from The Yarn Collective. Woolly chats about the design process from initial thought to finish project along with how the designs all came together. We chat about how Woolly has moved creatively from her Circled collection and how that inspired the direction taken for her latest work. We also take a look at the direction indie design has taken over the years before we get to the very exciting Hat-Along. This is Woolly’s 10th Mystery Hat-Along which takes place over on Ravelry and this year it is run slightly differently with two hat options; Hat A uses Carol Feller’s Nua and Hab B uses Miss Babs yummy 3-ply! For all the links just scroll to the end of the post. Thank you so much Woolly! 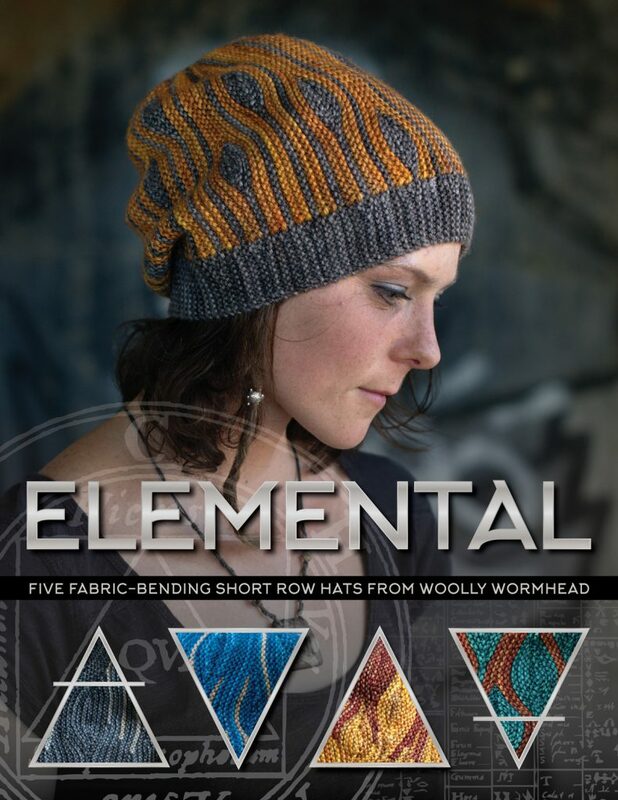 I know you all want to rush over and pick up your copy of Elemental and you can do that here. If you would like to pick up the Bloomsbury DK you can do that here (affiliate link). If you are looking to take part in the 10th MKAL you can do that here with Hat A with Carol Feller’s Nua and Hat B made with Miss Babs yummy 3 ply You can find Woolly over on her blog, Twitter, Instagram, Ravelry and Facebook if you would like to follow along in her design journey. Thank you all so much for joining me and I will be back on Monday with some more crafty posts. Best wishes for the weekend ahead! I enjoyed this very much. The design process of others fascinates me; my imagination and skill for this is extremely limited. I will be looking forward to hearing about the trip to India.